As he looked down on the earth from heaven, a small island spoked out of the sea. “It is a blessed place; I will go down and bring prosperity to that island,” said the son of Tentei (Emperor of Heaven) to his father. He then began creating the island of Okinawa. It was a sacred place called utaki that he first built. Mythology explains the beginning of Okinawa in this way. The following episode is told in another version. A pot was washed ashore on a beach on Kudakajima Island. An islander opened the pot and found that it contained grain seeds necessary for farming. It was a gift from gods living in Niraikanai(*). Although Mother Nature sometimes brings disasters like typhoons, she also provided seas with rich coral reef around the islands of Okinawa. 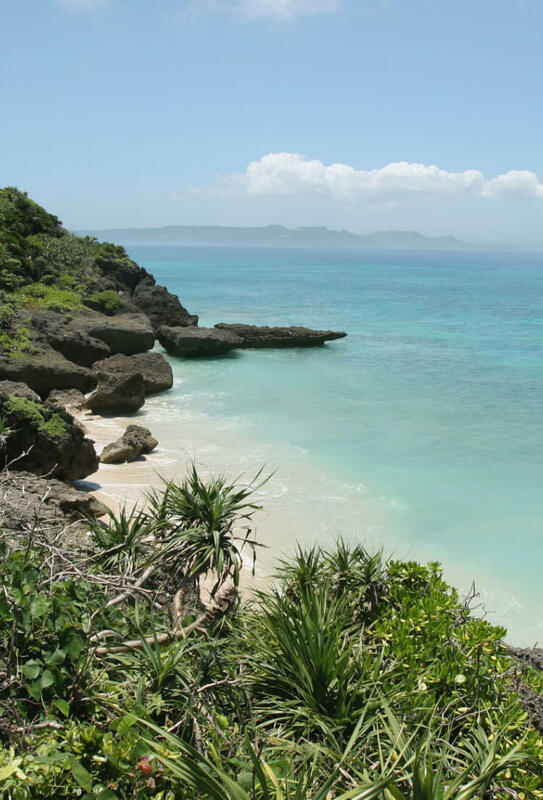 Supported by the bounties of the sea such as fish, shells, and seaweed, as well as agricultural crops produced on the island, the people of Okinawa have trodden the path of history. To express gratitude to the gods, they never forgot to pray at utakis and hold their hands together in prayer toward Niraikanai. 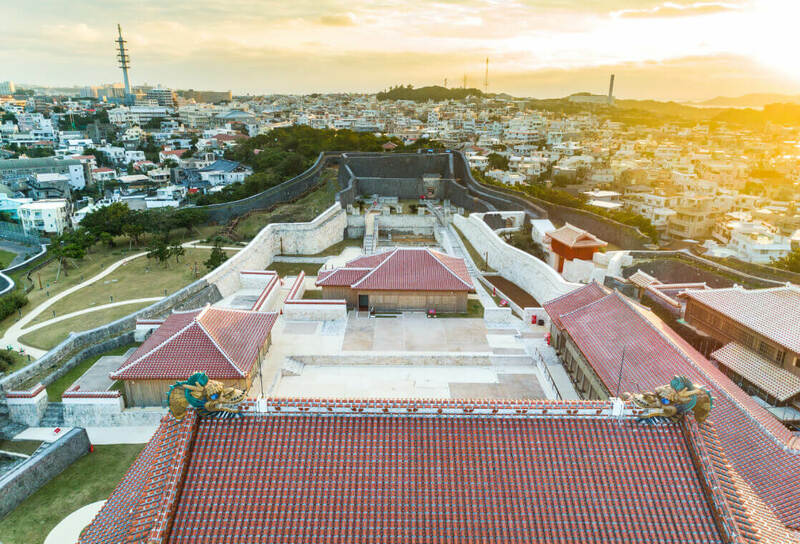 Eventually, leaders called aji appeared in various places in Okinawa, and there emerged an era where they built gusuku (castles) and engaged in battle. The competition to keep rivals in check and aim at becoming the ruler of the whole island of Okinawa became intense. The forces at Shurijo Castle emerged victorious, leading to the establishment of the Ryukyu Kingdom in 1429. Shurijo Castle became a special gusuku where the king reigned. Sake and awamori, which are products that represent Okinawa, were produced with skills learned through exchanges with Asia. Also, the sanshin, a three-stringed instrument that is essential to Okinawan music, was an improvement on instruments introduced from China. While Ryukyuan men conducted activities going beyond the seas of Asia, their wives and mothers prayed at the holy utaki for safe voyage. Actually, it was the women who gave names to the ships on which the men were riding. For example, a certain ship was named “Sejiaratomi.” In the old Okinawan language, it means “ship full of spiritual power.” In Okinawa in those days, it was believed that women were more spiritual than men and capable of protecting them. 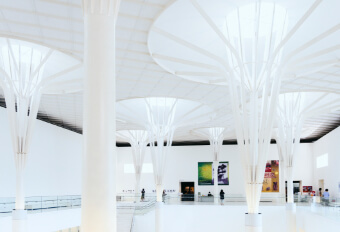 In 2000, nine cultural properties that convey the history of the Ryukyu Kingdom era to the present day were registered as World Heritage sites. There are five gusuku, including Shurijo Castle, and the remaining four are tombs and second residences, places of worship, and utaki. They are valuable cultural assets through which you can learn how the Ryukyu Kingdom was formed and developed. It is noteworthy that there are many places for praying at those World Heritage sites in Okinawa. For example, there is a magnificent castle wall at the ruins of Nakijinjo Castle (gusuku), which lost in the competition with the forces of Shurijo Castle, but inside the castle, there is a sacred place to pray for the gods. There are also many places to pray at Sefa-utaki, from where you can get a distant view of Kudakajima Island, where the gods of Niraikanai delivered grain seeds. At Shurijo Castle, the center of the Kingdom of the Ryukyus, there are many sacred places, but it was the women, not the king, who prayed there. The culture of prayers expressing gratitude to the gods is the foundation of Okinawan culture. However, there are no idols that represent gods at the sacred places in Okinawa. Nature itself in the form of forests, rocks, and beaches is the place for praying, where women created images of the power of the gods in their minds. Even though it is simple, this culture of prayer has connected people together and fostered the spirit of mutual aid. Okinawa has a tradition of spiritual culture that continues from the Ryukyu Kingdom era. I want people to visit Okinawa to experience this. 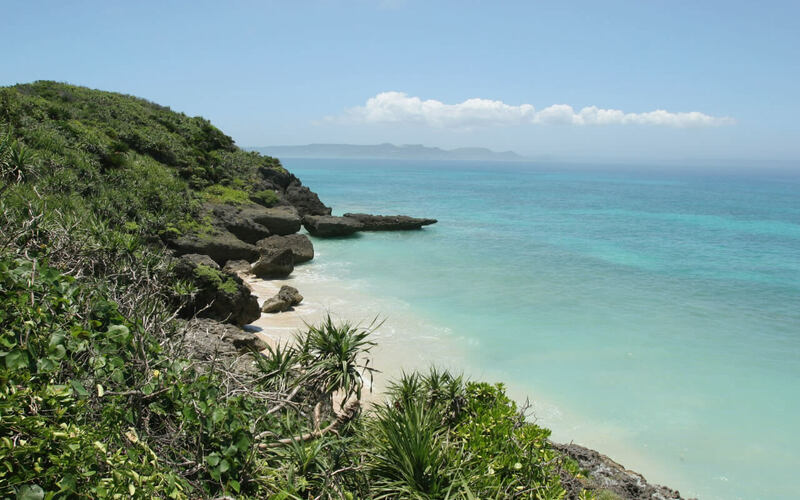 Okinawa is an attractive place open to all the people of the world. This refers to a world view that a paradise known as Niraikanai exists beyond the ocean from where gods bring abundance and happiness. It also refers to the faith that worshipping ancestors will lead to continued peace and prosperity. A historian specializing in the history of the Ryukyus, Dr. Takara has particularly devoted his research to the internal structure of the Ryukyu Kingdom and the history of its exchanges with Asia. After successive service in positions at various institutions, he served as a vice governor from 2013 in the prefectural government under former Governor Hirokazu Nakaima. Dr. Takara has also published many books related to the Ryukyus.